BrideLive.com, a one-of-a-kind technology which provides wedding and event professionals a place to instantly meet online with prospects, has officially announced their sponsorship of EPMEN 2012. 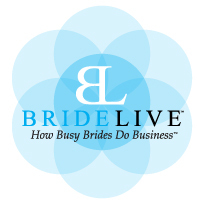 We are especially excited to have BrideLive.com sponsoring EPMEN 2012 because they exemplify what our conference is all about, bringing brides and vendors together. On April 23, 2012, The Eastern Pennsylvania Meeting and Events Network (EPMEN) will be hosting their annual conference in Allentown, Pennsylvania and today, BrideLive.com is pleased to announce that they will be sponsoring this event. BrideLive.com chose to sponsor this event, not only because they support EPMEN, but they felt their recently released product, a one-of-a-kind technology which provides wedding and event vendors a virtual meeting space to instantly communicate with clients and easily convert leads into sales, would fit right along with the goals of EPMEN 2012. “We are especially excited to have BrideLive.com sponsoring EPMEN 2012 because they exemplify what our conference is all about, bringing brides and vendors together. Plus, it's not grandma's wedding days anymore; people travel all over to get married. They need a way to effectively communicate with their vendors; BrideLive.com makes that possible”, Adam Skuba went on to say. In addition to being the main event sponsor of EPMEN 2012, BrideLive.com co-founders Bob Scott and Jay Thomson will be sharing their knowledge of the wedding industry and their secrets on how to improve business along with some top industry leaders such as Alan Berg, Mike Walter, Vanessa Joy, Rob Adams, Sean Mckee, Jason Jani, Lorenzo Araneo and Jayne Hallock. For anyone attending EPMEN 2012, be sure to stop by the BrideLive.com booth for a free product demonstration and to see how BrideLive.com’s extensive features can save vendors time and money by simply hosting effective sales appointments and client meetings with just the click of a mouse. Headquartered in Sherman Oaks, California and based on technology that has been in development and commercial production for over eight years, BrideLive.com launched in 2011 as a custom software company and is frequently recognized for its rapid sustained growth, product excellence, and superb multi-media user interface. Through their cutting-edge technology BrideLive.com has been able to provide a web-based virtual meeting space used by wedding planners, photographers, DJs, florists and other professionals in the wedding industry who wish to leverage the power of online, personalized meetings to convert leads, grow sales, and save time. For more information on BrideLive.com please visit http://www.bridelive.com or call 888.796.9906.